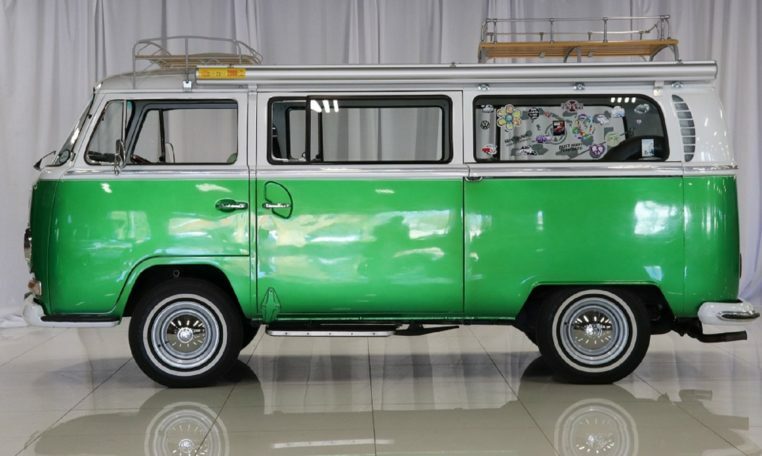 This 1968 Volkswagen Type 2 (Type 1 being the Beetle) second generation bus was called the Bay window. 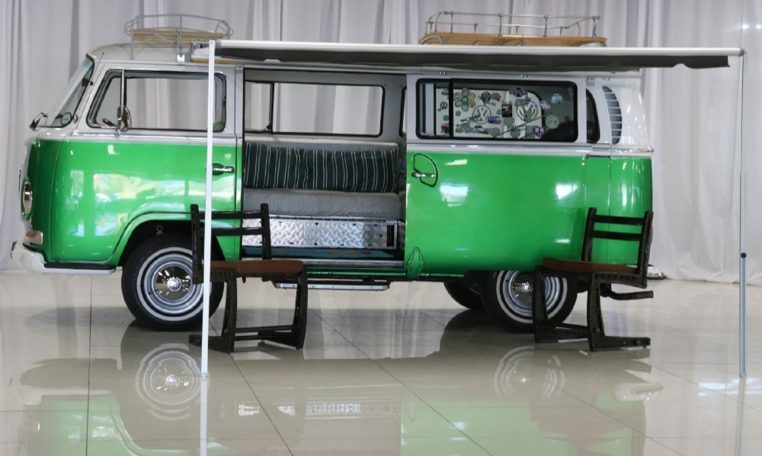 This vehicle is finished in a candy apple green with a contrasting white upper with matching vinyl upholstery. 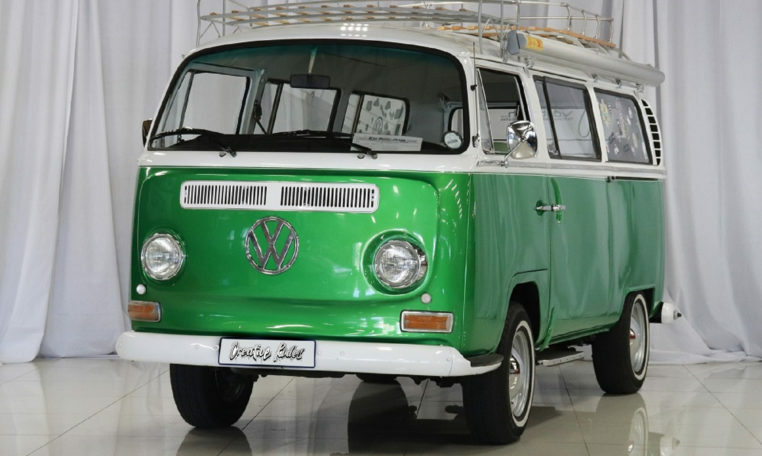 The 1967 was the first year of the bay window buses following on from the successful earlier split windows. 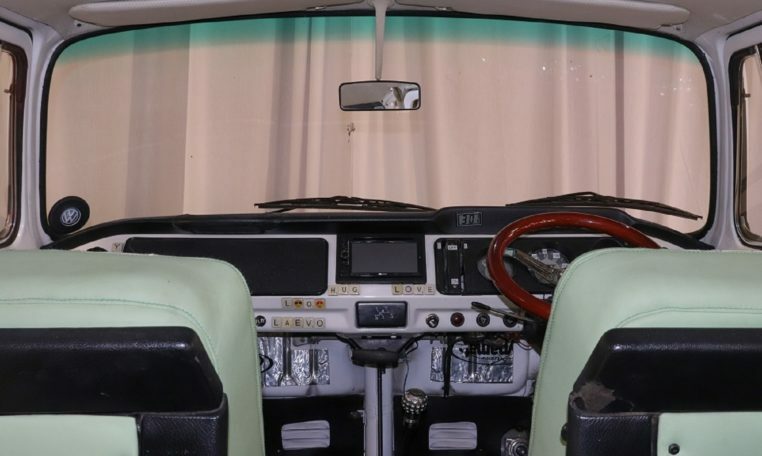 This has the optional factory (manually operated) sunroof installed which was a very rare option on the kombis. 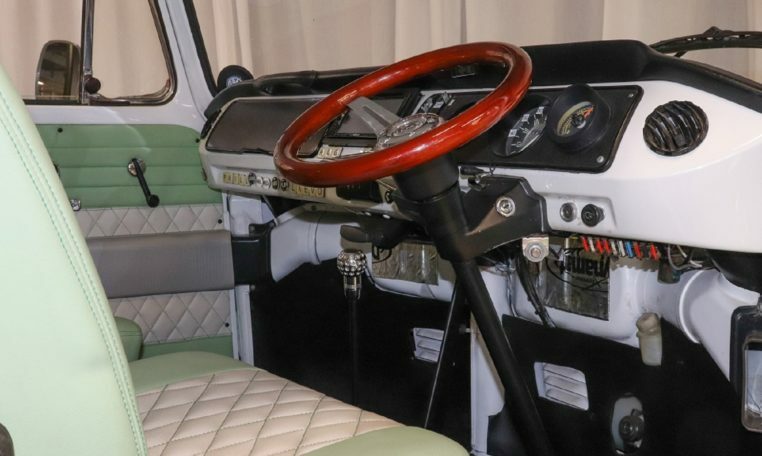 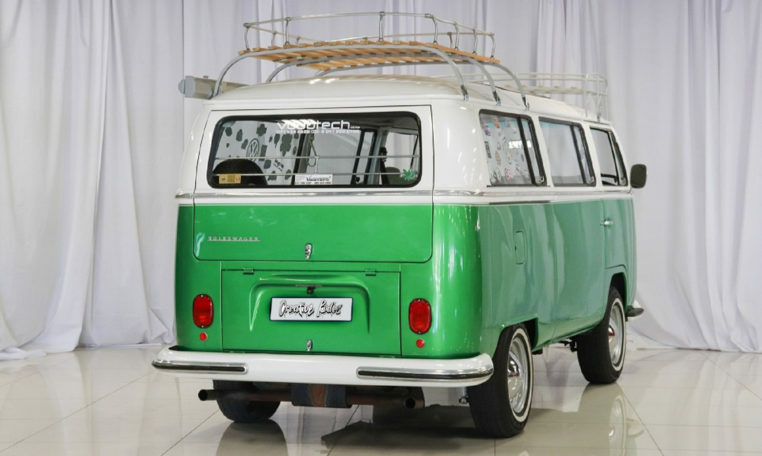 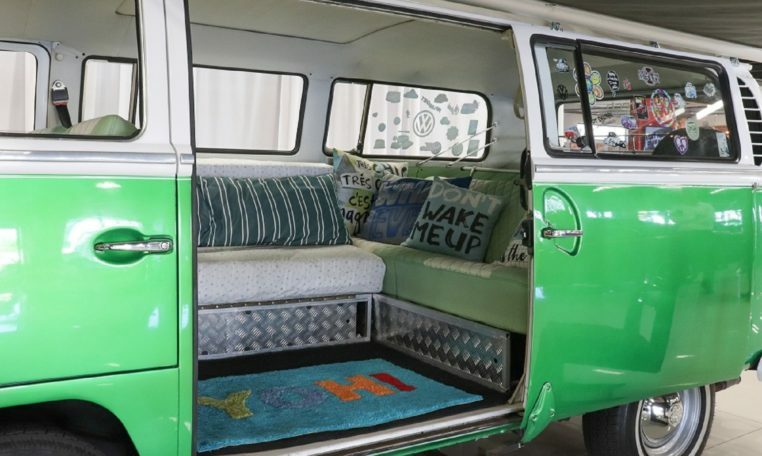 The Volkswagen busses were available in three different guises the panel van, the microbus and this the kombi. 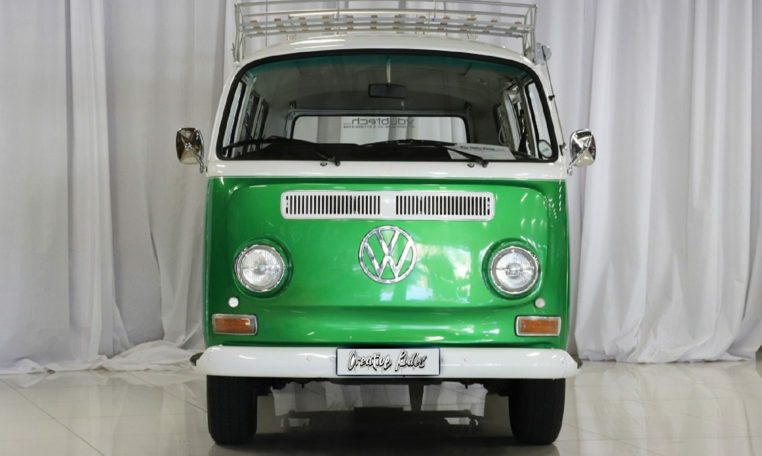 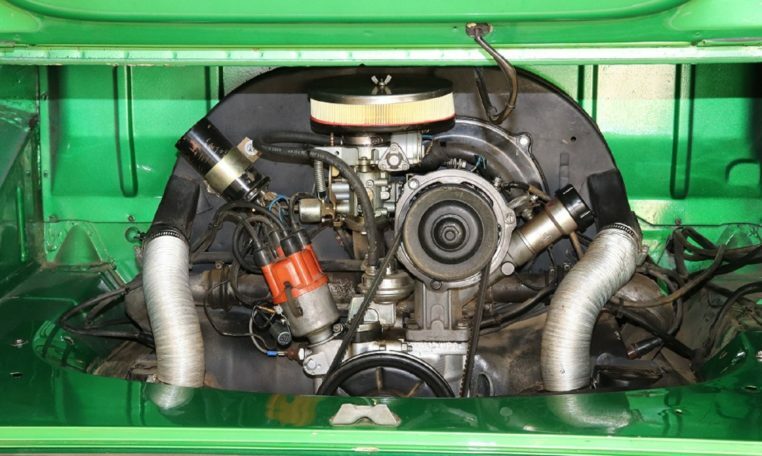 This vehicle was a nut and bolt restoration from chassis up including a complete engine and gearbox over all. 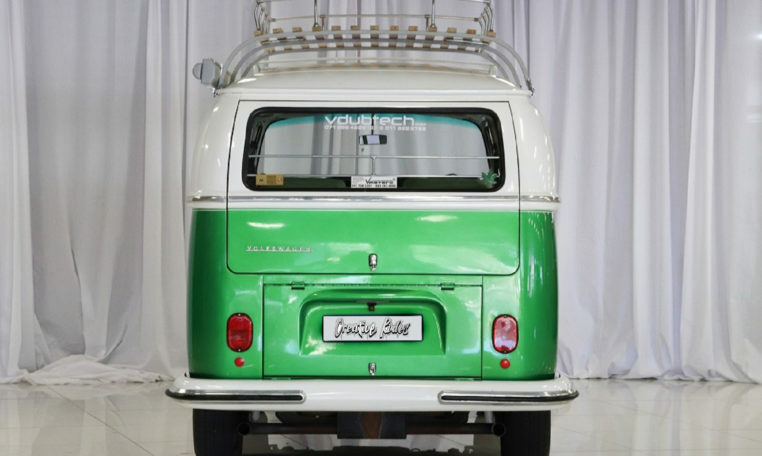 Original Volkswagen roof racks with slated wood have been fitted for extra luggage carrying capabilities. 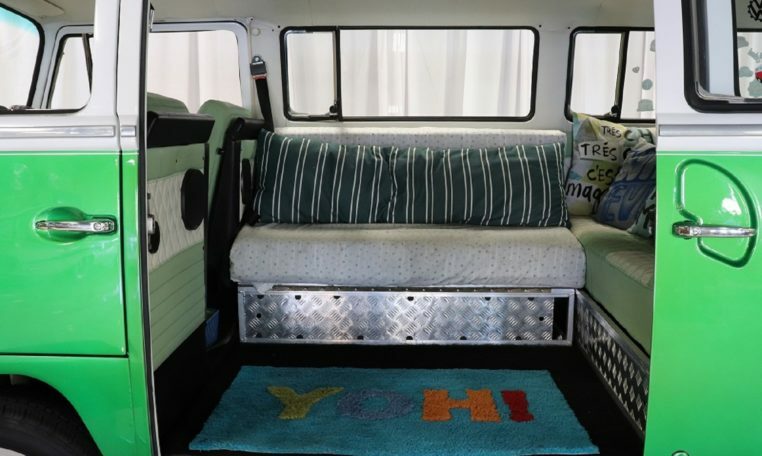 This vehicle has been fitted with an Eezi-awn 2000 ideal for a quick setup when camping or stopping to picnic.